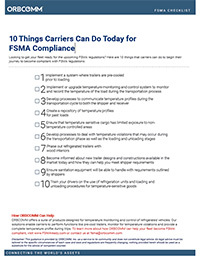 The FDA Food Safety Modernization Act (FSMA) is the most sweeping reform of U.S. food safety laws in more than 70 years. 1. Implement a system where trailers are pre-cooled prior to loading. 2. Implement or upgrade temperature monitoring and control system to monitor and record the temperature of the load during the transportation process. 3. Develop processes to communicate temperature profiles during the transportation cycle to both the shipper and receiver. 4. Create a repository of temperature profiles for past loads. 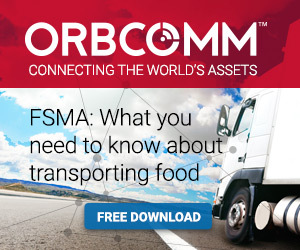 For more FSMA resources, including the Simplified Guide to FSMA for Food Transporters, visit http://www.fsmaready.com.